Opportunities in urban infrastructure in the post-Olympic Games period in Rio de Janeiro, as well as new ways to accelerate investments in Brazil are the main themes of the Casa Rio Infrastructure and Logistics conference, taking place on May 30, at Museu do Amanhã. 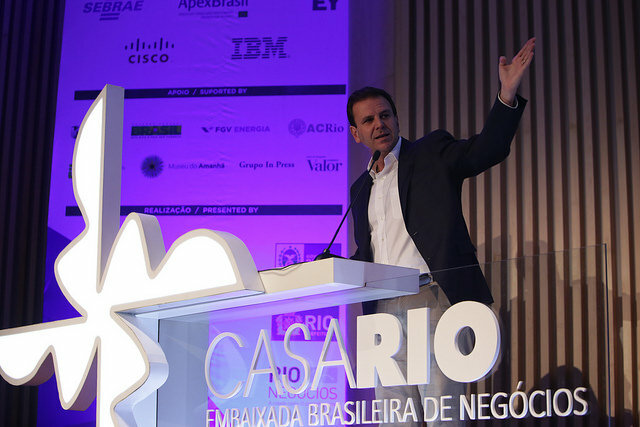 Among the speakers for the event are Luis Alberto Moreno, president of the Interamerican Development Bank (BID); Norman Anderson, member of the World Economic Forum Global Agenda Council on the Future Of Sustainable Construction; and the mayor of Rio de Janeiro, Eduardo Paes. This will be the second sectorial conference in the Casa Rio program, which began on March. The event will gather an audience of executives from the main companies in the infrastructure and logistics sector, as well as financiers, consultants, lawyers and authorities interested in the post-2016 period. For the post-2016 period, there are already opportunities in major projects, with ongoing bids for public-private partnerships in infrastructure on the city’s West Zone. The region’s sanitation project intends on investing R$ 3 billion in expanding sewage collection and treatment, with the goal of reaching 90% of the local population in 25 years. In urban development, the Vargens’ Urban Structuring Plan intends on replication the type of renovation occurring at the Port, with investments of R$ 15 billion in the urban development of the area.